VietNamNet Bridge – The US Senate has approved President Barack Obama’s appointment of new ambassadors to several countries, including Vietnam. US Ambassador to Vietnam David B. Shear. David B. Shear was nominated by President Barack Obama as US Ambassador to Vietnam on December 13 2010. The US Senate has approved the recommendation and Shear has become the fifth US Ambassador to Vietnam since the two countries normalized their relations in 1995. Earlier, Shear was the Deputy Assistant Secretary for East Asian and Pacific Affairs. 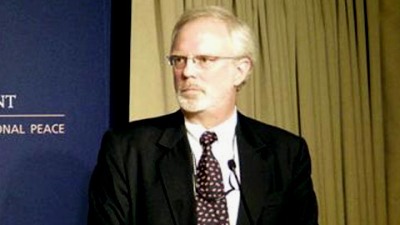 David B. Shear joined the Foreign Service in 1982. He has served in Sapporo, Beijing, Tokyo, and Kuala Lumpur. In Washington, he has served in the Offices of Japanese, Chinese, and Korean Affairs and as the Special Assistant to the Under Secretary for Political Affairs. He was Director of the Office of Chinese and Mongolian Affairs in 2008-2009 and was appointed Deputy Assistant Secretary in September of 2009. Shear was a Rusk Fellow at Georgetown University’s institute for the Study of Diplomacy 1998-99. He is the recipient of the State Department’s Superior Honor Award and the Defense Department’s Civilian Meritorious Service Award for his work in U.S. Japan defense relations. He graduated from Earlham College and has a Master’s degree in International Affairs from the John’s Hopkins School of Advanced International Studies. He has attended Waseda University, Taiwan National University, and Nanjing University. Mr. Shear has a first degree rank in the practice of Kendo, or Japanese fencing. He speaks Chinese and Japanese. The fourth Ambassador, Michael Michalak, finished his 3.5-year term in Vietnam and returned to the US on February 14. The Vice Ambassador, Mrs. Virginia Palmer temporarily headed the US diplomatic mission in Vietnam while the new ambassador awaited approval. According to the US Department of State, Shear’s priority in Vietnam will be education. The former US Ambassador Michael Michalak also said that the new Ambassador would pursue his achievements in promoting US-Vietnam education cooperation over the past 3.5 years. “The new Ambassador is a good man. He worked with me in Japan. We consider each other as brothers. He sees me as his elder brother and for me, he is my younger brother. I’ve talked with him and I know that education is his priority,” Michalak said in his last press conference in Hanoi in February.